Some of their voters certainly conform to that yes, but a vast chunk of UKIP’s voter base is simply retired people who don’t like immigrants and don’t like Europe. Plenty are quite prosperous and not really left behind. Correlating UKIP support to level of education tells you nothing more than the obvious fact that fewer retired people have university degrees than younger people. Neil Dawson is the candidate for Labour. Ardsley & Robin Hood voted remain because… more people voted remain than leave, I was there. I saw the boxes and tallied some of the votes coming out, remain was clearly ahead. Morley was more for leave than Middleton, though not by much. Strongest remain areas… Headingley obviously, Farnley & Wortley was surprisingly strong for remain. Two separate people from different parties have confirmed that the seat was strongly for Leave, who both live there. I can’t give any estimates because the tally sheets are in landfill somewhere. I would rather live among any voter, than Labour, Tory or UKIP activists. Looks like this will be a straight Con vs Lab scrap. All the other parties sitting this out. There are Education hustings on 23rd May in Morley Town Hall which Neil Dawson will be at and I believe Andrea Jenkyns will. It is largely sponsored by the unions so am surprised she will be there, however it is a case of “between a rock and a hard place” – if she does not go it will be purely giving Neil a time to speak to the electorate about education. Personally, I think it is good that she has the guts to go – it should be a good evening for candidates to put their case. Andrea Jenkyns was not at the rescheduled election debate last night but there was a green candidate …………… who are not standing in this seat. Earlier there was a debate between Andrea and Neil on Made in Leeds. I was not at either debate so I cannot say. What do you think the majority will be Luke. I tend to believe the more pessimistic polls for Labour and I tend to think this might lean the Conservative way which annoys me because like Ed she was a stranger to the area 2 years ago, she has moved into Gildersome (and has been shopping in the Co-op!) and if she loses she will surely leave the area whereas Neil after 33 years would obviously stop. Also, I see/hear many things which relate to her being a poor MP – I believe all her original helpers left within 18 months (correct me if I am wrong) which cannot have helped during her pregnancy. Labour do far more doorstepping throughout the election campaign and all year. The one thing I believe in that the Tories have done right is putting their office on the main street which makes it easier to reach voters and that is one area where I think Labour needs to improve. Personally I think it would be unfair if Neil with his dedication to Morley (and Outwood) were to lose this seat. I think we are looking at re-count territory again. I’m certainly less sure than when the election was called. That’s interesting Luke. At the start I thought we had a good chance and I still say we are not out of it but I tend to think it will be a narrow Tory majority though as you say local is key in Morley. We tend to be getting more UKIP than nationally and for some reason the few that used be BNP are now supporting Labour. Personally, I tend to believe the worst polls for us and I would guess a 1,500 Tory majority……but it is still close. A lot of the West Yorkshire “I vote UKIP and used to be Labour” types don’t mention that they had a stop-off with the BNP on the way. An acquaintance (now dead) was a Labour to BNP switcher about 10 years ago or so. This seat may be an interesting one to watch on election night. Still predicting a Tory hold though. A single example does not constitute a rule of thumb. She is seen as a fairly poor MP by a lot of people – she took a MP away from his wife according to The Sun, she then had a baby which meant she could not be around and some idiots have defaced her posters. Having said that she is a nice person. As regards UKIP, I think this will cause Labour many problems throughout the country, but I think we will beat the national average. The BNP disappeared from Morley about 2011. Our records before then show them moving to Labour six years later, we don’t know if they went to UKIP in the meanwhile. In any case it is just a small number. While I’ve been out and about I’ve not come across many who voted UKIP last time, those that did are breaking slightly more to the Tories but not overwhelmingly. Lots of UKIP voters used to be Labour and still want to be deep down… the press have created an underdog out of JC and therefore the ‘you aren’t for us anymore’ effect is cancelled out by those saying ‘if that’s what the establishment least want me to do, I’ll go and do it’ types. I think she’ll hang on, the national trend of Lab > Con will be bucked here by Labour selecting a local Cllr with a decent reputation. Unless you know Morley well you can’t possibly understand how ‘we’ll always support one of our own’ the folk are. Hence Neil’s little ‘I’m more local than you’ dig, which was quite clever. Looking forward to the count actually, I’ll be renewing acquaintances with Mr Benn of course. Yes, I used to live in Morley many years ago and was married to someone who grew up there, and the biggest post-war tragedy for most people was being absorbed into Leeds (just the same in Pudsey). Hence the long term success of the “Morley Independents” at council level..
Morley Borough Independents are basically Tories without the whip. It must be the one of a tiny number of seats where the sitting MP doesn’t have any councillors? Other than those stuffed with Independents and very few party political ones. When I’ve been out and about talking to voters, some of the negative stuff toward Andrea is around things she’s actually done, trying to block the housing on Laneside Farm etc, which I think is strange. Perhaps an issue with making sure her efforts are publicised, but lots of people see a newspaper from the MP and just bin it. The national campaign hasn’t helped matters, I must admit. They’ve made an underdog of Jeremy Corbyn, Brits love underdogs. Gut instinct and logic would tell you that May would be returned with a fairly healthy majority, but there’s a nagging thought in my mind that some of the electorate will stick two fingers up and vote Labour in protest… resulting in a hung parliament. Obviously then May would have to go. They don’t need to be ahead, though, just narrow it enough to pick up a handful of ultramarginals. Good posts Luke. We find UKIP only marginally more going to you and as you say our candidate playing the local card is effective in this region. I tend to think Andrea will win by a small margin as many people are unhappy because of a lack of response from her team and her being unavailable through being pregnant. MBIs tend to show how independent Morley is and I think their supporters are 70% Tory. You are right the underdog may well work in Neil’s favour. Despite May’s performance I still think you will have a majority of not far off 100 which may seem a bit high but if you look at where the leaders have gone that tends to show where the battleground is. I don’t know whether you believe the bookies but a week ago you could get 9/2 on Neil winning. Now according to one bookie it is 7/4. Yes your correct – Morley is heading towards a Tory seat, particularly Morley North. If it was Morley & Outwood in five years time it would be difficult for Labour to win. If the proposed Boundary Review goes ahead Morley would be paired with Batley which should be a safe Labour seat. I don’t have any experience of how her team deal with case work, genuinely, however if they do sit on things and work to a fairly lax SLA type position, then the constituents are bound to get annoyed and would consider someone else. There are bound to be some things that a local councillor is better positioned to be able to deal with, none of those are Tories currently, if people feel like they’re being fobbed off or given the party line… even if they actually aren’t, all about perception as we know. The ‘I’m more local than you’ was very clever, one I expected given that it is factually correct, not sure they expected something like that… you use the tools at your disposal. I’ve not heard a negative word against Neil when I’ve been speaking to people, there’s a few ‘I don’t know who he is’ – mainly in Outwood, much of the anti Labour stuff has been directed at Abbott (not Corbyn). In Ardsley there were a few Con > Lab switchers, a couple of anti Balls ones reverting back to type, and others saying they’ve never seen her. Ardsley is difficult to appear visible in! Morley & Outwood will always be a marginal, there seems a floor on the Lab vote and a ceiling on the Tory vote, though with UKIP collapsing and the area not being very Lib Dem both of those theories will be tested. I know from before that about 50% of queries eg, parking, cutting down trees, noise levels are for Councillors but a lot of people automatically go to their MPs. Neil has lived in Morley for 33 years, worked in Wakefield for 20 years and been a Councillor for 10 years and that is why his local credentials are genuine. He is Morley based and so in Wrenthorpe, Outwood and Stanley he has not had much exposure but he has done different leaflets for the two places (did Andrea do this?) and Stanley and Outwood are our best areas in the constituency. We have seen some moving back to Neil from Ed Balls but also some going the other way because of leadership. I think we both think it will be close and probably Tory but you never know until Friday 9th. I’m surprised to see that Outwood is Labour’s best area in the constituency; certainly the western ward seemed to be reliably Tory during the latter stages of the last Labour government and I assumed it was continuing to trend that way – as a lot of the Wakefield council area was seeming to at that time. 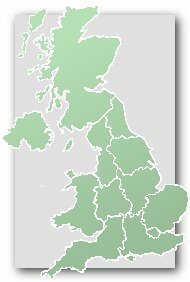 If you go on http://www.electoralcalculus.com you will see there are five parts to the constituency and in their speculation our only positive is from Stanley and Outwood East. In 2015 we won four of these boxes but Morley North was so much against us that we lost. Wrenthorpe is definitely Tory, but Outwood West from 2015 has a greater Labour voice. Yeah, the Morley North ward is fairly reliably Tory, covering Gildersome, Drig and Churwell. In a normal town without Independents you’d expect them to hold it with close to 50% share, Labour 30-35% ish. As a party they under perform badly in Leeds generally, might be the leadership on LCC that lack vision? Wrenthorpe & Outwood West ought to return three Tories… you’d think anyway. Interesting count… Labour took a fairly decent lead early on, before Jenkyns caught up and started to pull away. Could this hold be considered an upset? I’m not sure that this was an exceptional result. Its a fairly well established feature in British General Elections that first time defenders of seats often get an above average result. This was one of the 6 seats which the Conservatives gained from Labour and they successfully defended 5 of them (here, Bolton West, Plymouth Moor View, S’ton Itchen and Telford). The exception was Derby North. Should have read “6 gains in England”. Don’t want to be jumped on my our Celtic posters! Was a lot of it to do with the postal vote Luke? Last time it was Morley N and those that defeated us. Which particular areas led to a good lead for us? I was not far off with a 1,500 Tory majority. I think a lot of the change, even in two years would be partly down to new builds. I feel that now Labour must get 300 seats to take this seat and it is heading toward safe Tory. However if the boundary changes do go ahead it should be a fairly safe Batley and Morley seat for Labour. I didn’t catch the postal votes at all, though it was those that saved Stuart Andrew in Pudsey. That result was remarkable, he’s a popular local MP and even in their bad areas has been well received during this campaign. Morley S was good for you, better than I expected… those were the early boxes I tallied, it was probably my facial expression that led the BBC to speculate a Labour gain! It was my first time tallying Morley N – and yes, it was good, from your point of view it is difficult to know what you can do to turn that around. Can’t speculate too much but I reckon on the day that the UKIP vote broke disproportionately to Andrea, higher than the 60% I was reckoning, with Neil picking up the green vote and most of the increased turnout. Given that she’s been in the area for four years and increased her majority against the tide, albeit in a Brexit friendly seat, you might be right that she’ll take some shifting. Looking at the 2015 election there were (keeping LD the same) about 10000 votes to spare. We should be really pleased when Neil got 6,000 of them, but somehow you got 8,000 of them – an increase of 4,000 people voting. If we had been told before that Neil got 24,500 votes we would presume he would have won. Neil has been a Councillor for Morley S and that is why it was so good for him. We often sent leaflets/letters to other areas but not so much for Morley S because he could stand on his record. I really don’t think we can turn Morley N around. Neil spent more time on it and it did not work. Perhaps the candidate should spend more time in the other areas. If it is Neil, although he made some effort, to really concentrate on Wakefield and Ardsley/Robin Hood. The two weeks at the start was a disadvantage but I don’t think it could move a 2,000 majority. By the way, I bet Anthony Calvert must be kicking himself for moving to Wakefield rather than sticking with M & O.
I suppose the national polling around 2013 when Andrea was selected, it wouldn’t be unreasonable to assume that the Tories had peaked in 2010 and it was time to seek pastures new. I’m surprised Creagh hung on, and did so with a similar sized majority, especially the size of the leave vote, the UKIP share two years ago and the Tories supposedly having worked the area since the last election. Perhaps the adult social care policy put off the older voters there? I didn’t get the chance to look at Ardsley & Robin Hood, I’d be interested to know how it broke, as it is the most volatile ward in the seat (by miles) and will be probably the biggest Lab/Con battleground next year across Leeds. I was surprised about Wakefield as well. I know it seems a bit silly but when AC came up with his suggestion on tea it will have annoyed a lot of people and pushed some voters away. Nevertheless, this was a weird election. Before I had given up on Halifax and Wakefield did not consider Keighley and Colne Valley did not even enter my thoughts. Certainly I thought Morley & Outwood would be in the middle of these (which I expected us to lose, but not by much). I hoped Paula Sherriff might squeeze through in Dewsbury because of the things she has done – tampons, prices in hospital shops which got good publicity. What is worrying is that Morley & Outwood is the only Leeds seat where it went to the tories with an increasing majority. This may be a classic example of the first time incumbency bonus. Though, generally speaking, that was less in evidence this election than in the past. Generally the Cons put a lot of work into West Yorkshire to go backwards. They put less into South Yorkshire, where they did make progress but fail to take seats. Wrenthorpe and Outwood have a UKIP councillor, so they are anti-EU too. Wrenthorpe and Outwood do not have seats on Morley Council. I am on Morley Council and I think I know 7 peoples political persuasion and 4 are Tories. Robert Finnigan was Labour but he did appear on Andrea Jenkyns’s poster to support her. Neil Dawson is the other Labour Councillor. From the 2015 election Morley N made the difference and comparing the Tory/Labour votes with the local election it would seem that roughly two thirds voted Tory. I’m not so sure, with the obvious exception of Scotland and the less obvious exception of Wales it should be pointed out Lab significantly increased their majorities in all of their 2015 gains and the Tories definitely performed above average in their 2015 gains holding onto most of them, most with further swings towards them. True that as far as Lab was concerned there was a good bonus, though I wonder if that is as much about the type of seats they made progress in last time as the MPs. For the Cons it was very patchy – good first time incumbency bonuses might have been expected for Amanda Solloway, Byron Davies and James Davies which didn’t materialise. Very good result here for Andrea Jenkyns with first-time incumbency. She might now be very hard to beat. Certainly Jenkyns appears to be inoffensive enough and at the very least an approachable individual. Can’t hurt her with the voters in a seat like this? I imagine Elmet is probably lost for Lab but I wouldn’t be so hasty about this seat, yeah it swung to the Tories last week but not massively, they’re only sitting on a majority of 4% in an election they won nationally, that makes it a key Lab target going forward. Though the swing to the Tories here doesn’t bode well for Lab in the future here and means they certainly can’t be complacent, it will probably be a tougher nut to crack than some other seats with larger majorities. This is a seat that Labour will win when they win a majority. As for the long-term, it depends what route the Tories go down as to whether this becomes a solid seat for them. Trends in particular seats are likely to become disrupted as Labour have changed their tone significantly in the last two years (but for now appear settled, at least until the next electoral reverse), whereas the Tories, as a result of their current identity crisis, are likely to shapeshift a bit more over the next parliament (however long that is). It is more difficult to work out which party a seat is moving towards when the parties themselves are moving. True. But they are not numerous enough to form the bedrock of a Conservative electoral strategy. Easy to say this in hindsight, of course! I think this was one of the few seats the Tories picked up from Labour in 2015 to hold onto, along with Plymouth Moor View, Bolton West, Telford, and Southampton Itchen. In fairness, they held onto more than half of their 2015 gains. So depending on whether you count Corby, the Tories held either 5 out of 8, or 6 out of 9, of their 2015 gains. She’ll take some moving I reckon now… they’ll have to get a majority to have the national swing to do it, best expectations were of a majority of 2-3k, with a national swing to the Tories, so when the swing is against, a solid result. There isn’t really a massive student vote to tap into, and the town is quite patriotic, some of the negative anti-JC stuff that failed elsewhere would go down quite nicely. The big Brexit vote and her being a prominent leaver helps of course. The only way Labour wins M&O again is going to be with a majority and even after that they’ll struggle to hold on. More chances they could win Southampton Itchen of the 2015 Tory gains. Moor View looks to be getting worse for Labour whereas Sutton & Devonport gets better (uni factor).